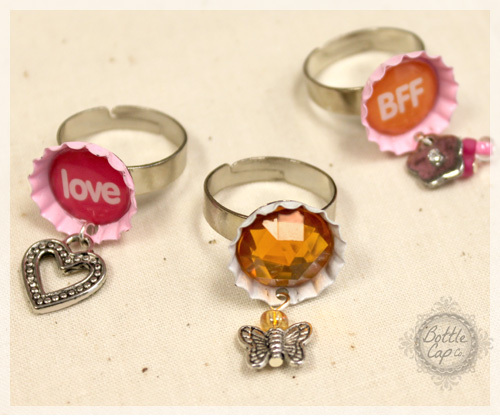 Make 25 rings for just $31 or 50 rings for only $46. 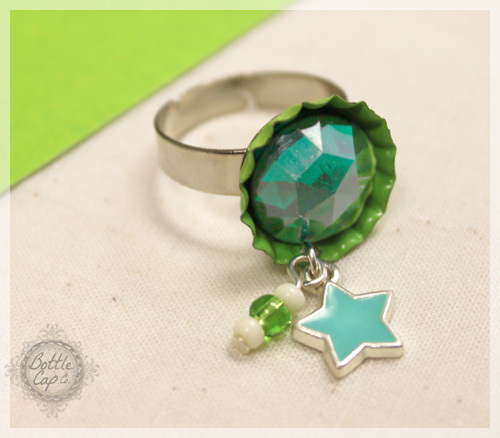 Less than $1 per ring! 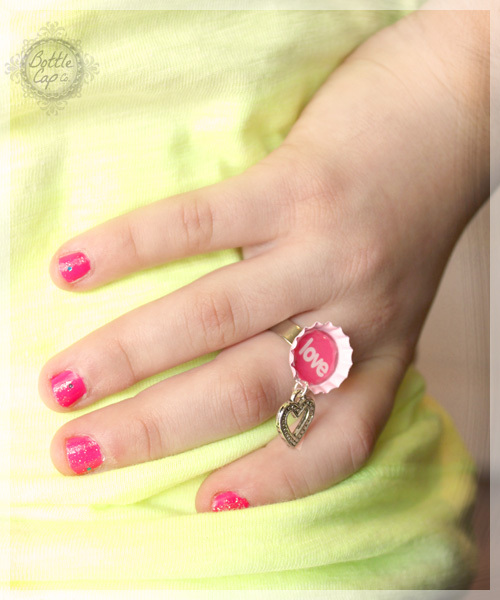 Adjustable Ring Base, Pink Mini Caps, 1/2 PDF You Print Images, 1/2" Epoxy Dots, Silver Charms, White Mini Cap, 1/2 Topaz Acrylic Gem, charm added. 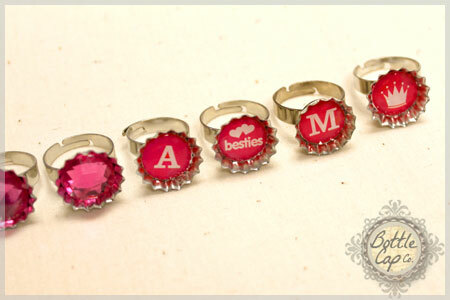 A "Love"ly ring! 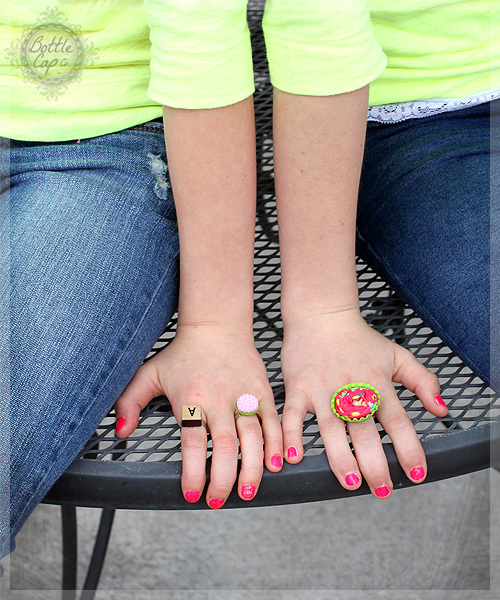 Same products as pictured above. 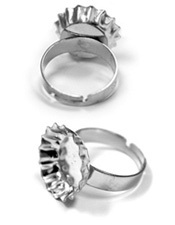 Make 'em and Take 'em! 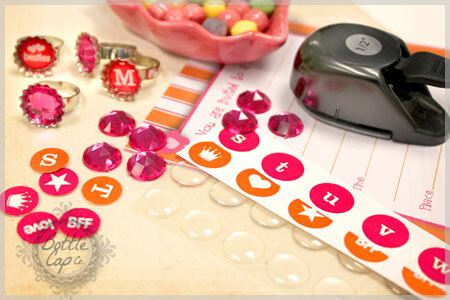 Punch any paper design, seal it with an epoxy dot, add bead charms! 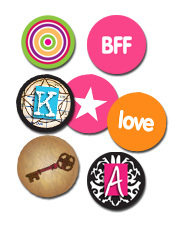 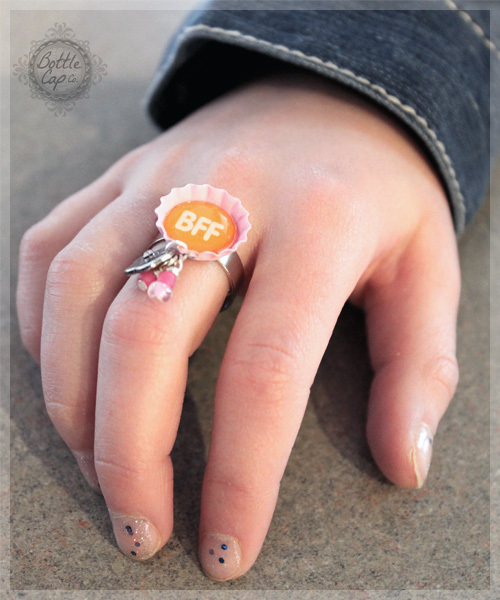 BFF Rings with Bead Charms - a fun gift between friends! 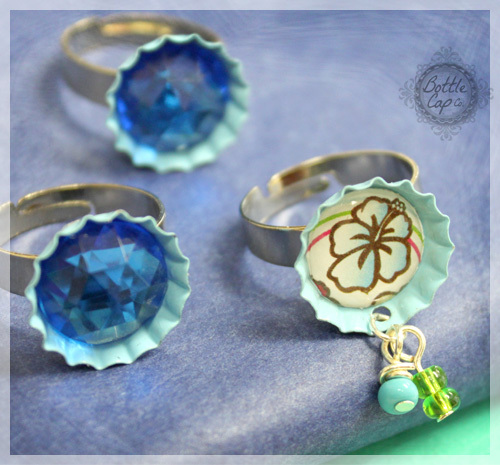 Fabric flowers and standard bottle caps make a great pair. 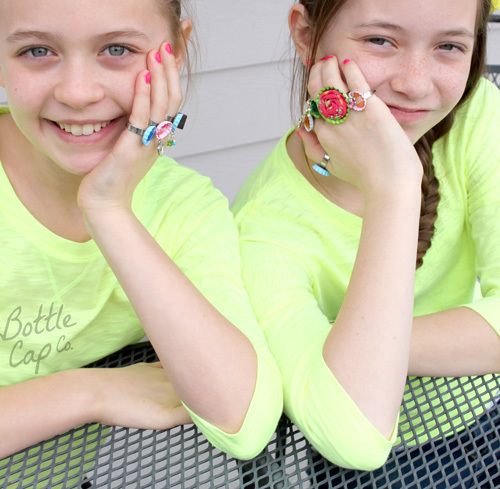 There are millions of fun combos using fabric scraps and bottle caps. 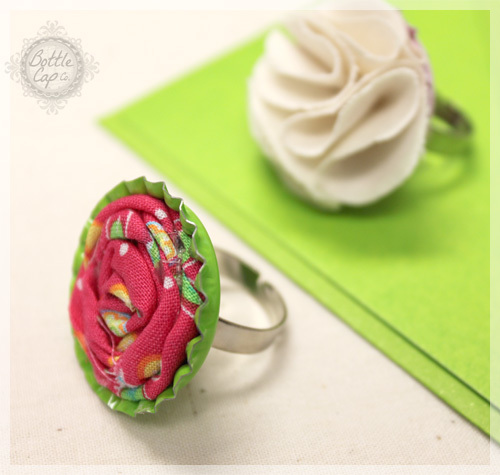 A more grown up fabric flower ring option is to use Vintage Bottle Caps or Distressed Bottle Caps as the flower base. 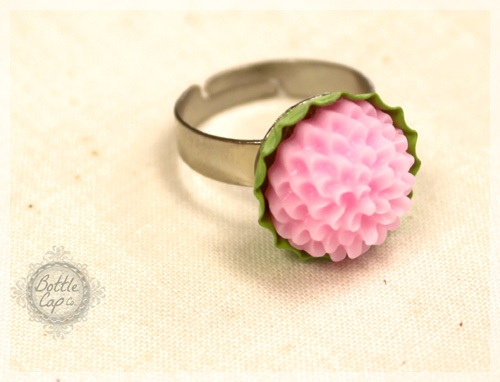 It makes a unique, nostalgic handmade gift. 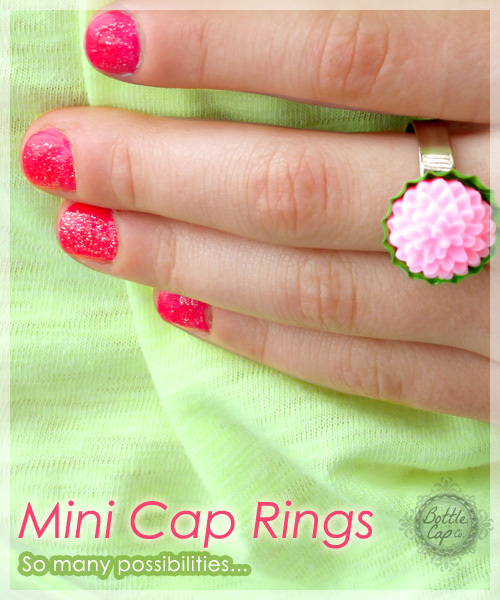 Bright colored bottle caps and fabrics make a fun oversized ring for all different ages of kids. 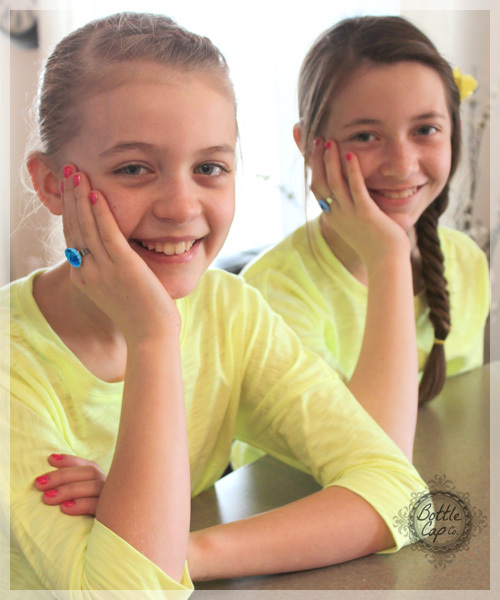 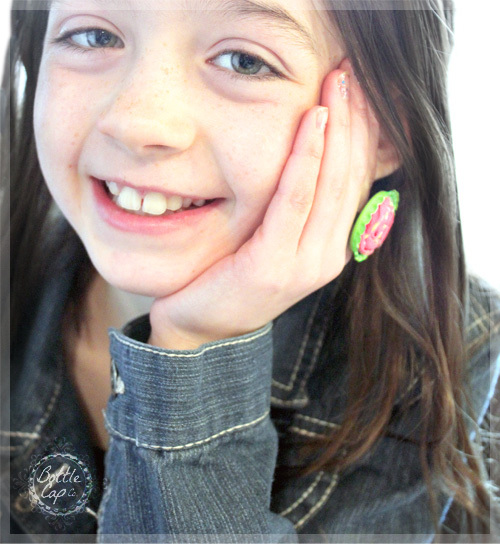 Have fun at your next birthday party, sleepover or craft party! 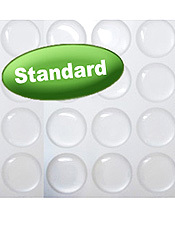 Call us if you have any how to questions or need help with which products to order.